Sparrow Spaulding was born into the perfect family. Two loving parents, a beautiful home, and grandparents that doted on her. Life was a dream until the day that changed everything. Sparrow's perfect life was ripped away at age three in one tragic moment that would forever change her. Follow her on her journey as she tells the story of her traumatic childhood and how she fought hard to stay strong despite her dreadful circumstances. In Riding Standing Up, Spaulding’s gift for storytelling will have you on the edge of your seat. Get ready to laugh out loud and cry more tears than you’d like as you embark on this memoir that reads like a novel, never knowing what’s around the corner. 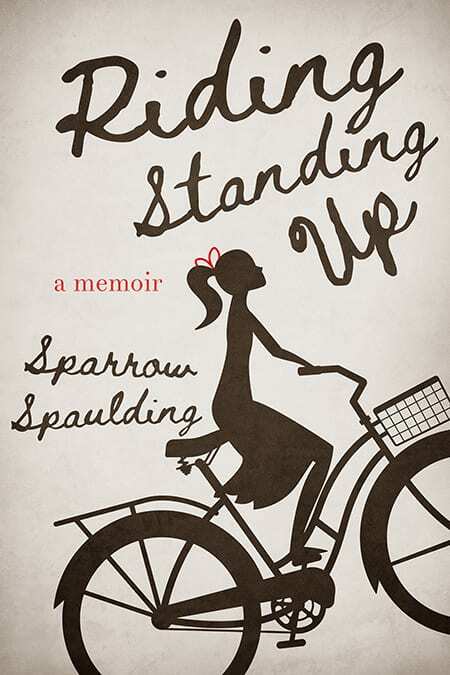 Brutally honest and unfiltered, Sparrow Spaulding is an unsung antiheroine…until now. She shows us we don’t have to be perfect to be worthy and that there’s power in being real.